TRAVEL bans on “deadbeat dads” and mothers who fail to pay child support have more than doubled in two years. But the federal government’s reliance on “departure prohibition orders” to force parents to pay their debts has been rocked by a tribunal’s ruling to let a father move to Indonesia for a “better lifestyle”. The Administrative Appeals Tribunal (AAT) lifted the travel ban this week – despite the man’s “appalling history” of paying maintenance for his child, who is now 33 years old. The Child Support Registrar “grounded” 471 parents last financial year – up from 294 in 2010/11 and 183 the year before. 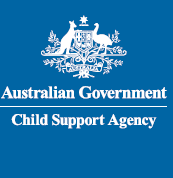 Parents paid $4.2m in overdue child support to have the bans lifted. But the 1152 parents still on the list will be stopped by Customs or the Australian Federal Police if they try to leave Australia – even for a holiday or business trip. One in four Australian parents has fallen behind in child support payments, with the federal government recovering $110m in debts last year by intercepting their tax refunds. The Child Support Registrar imposed a travel ban on a Queensland man in 2007 to try to force him to pay $17,000 in child support and $35,000 in fines. The registrar began deducting $22 per week from the man’s old age pension, but he still owes $14,668 in child support and $45,000 in fines. The father, who is 68 years old but cannot be named to protect the identity of his child, appealed to the AAT on the grounds he is too old to work and wants to retire in Indonesia with his new partner, who is 59. “He can live there, he says, more cheaply than he can in Australia,” AAT deputy president Philip Hack said in his judgment this week. “He struggles to live on Centrelink payments in Australia. “He has found it necessary to obtain advances from Centrelink to meet bills. The registrar’s lawyer had warned the tribunal that lifting the travel ban would “reward” the father for his conduct and “send a message that if those obliged to pay child support ignored their obligations for long enough they could ultimately avoid paying them”. But Mr Hack ruled that the right to stop an Australian citizen from travelling overseas at will was an “extraordinary power”. “The evidence that (Mr X) presented made out his case that he and his spouse could enjoy a better lifestyle in Indonesia and repayments of the child support liability are being made, albeit slowly,” he ruled. Department of Human Services general manager Hank Jongen said the government was deciding whether to appeal the decision in the Federal Court. The National Council of Single Mothers and their Children said it was wrong to lift a travel ban for lifestyle reasons. “Pay off your child support and then go and retire in the sunshine,” spokeswoman Terese Edwards said yesterday. But the Men’s Rights Agency demanded the government abolish travel bans. “They treat fathers worse than they treat criminals in this country,” director Sue Price said. Fathers make up 86 per cent of parents paying child support. No items found in feed URL: http://www.familylawexpress.com.au/family-law-judgments/category/child-support/feed/rss. You requested 15 items.